Solar Village: Let’s search for a brighter tomorrow | The Forum Network, hosted by the OECD: Shape ideas. Shape policy. Shape the Future. The Internet is a powerful place. Over the short course of its existence, it has become such an integral part of our lives, allowing us to connect with others from every corner of the world and exchange information. While it is no surprise to hear that connecting to the Internet requires a power source, one may be surprised to learn that the Internet can also give energy in return, to power a village for example. That is the idea behind, the Solar Village Search Engine, a search engine that will work toward solarising rural villages throughout Tamil Nadu, a southern state in India. Launched on 5 December 2018, this project, overseen by Auroville Consulting, works like other search engines in that it generates income from sponsored advertisements. Yet unlike other search engines, the income from these advertisements goes toward the cost of purchasing and installing solar panels in villages. Health — using kerosene and firewood for cooking and lighting can lead to respiratory issues, particularly in women and children. Livelihood — having an unreliable source of energy means that farmers cannot predict when they can water their crops using irrigation systems, and businesses cannot guarantee when they can open their shops. These stressors can lead to rural-to-urban migration — a growing issue in India. Education — children often cannot study once it’s dark because lighting is not guaranteed, and this can often lead to poor performance at school. Environment — conventional energy production, such as coal and fossil fuels, can cause issues with water stress. The hope is that, with the introduction of village-level solar generators, issues stemming from a lack of reliable power will subside. Children will be able to study longer, businesses will be able to operate more efficiently, and farmers will have more reliable access to basic services like water, which can even potentially lead to more precise irrigation systems. Moreover, the initiative can help bring democratic budget planning to these communities. As the solar panels are connected to the conventional grid system, the energy generated by the panels can be sold to a third party. In turn, 10% of the profit from these electricity sales is given back to the village itself, which opens new opportunities for the villagers. The money earned through the sales will be spent as the community sees fit as a form of participatory budgeting. Villagers can assess the needs of the community and then vote on competing needs and collectively decide what kind of spending will reap the most benefits for all. The other 90% of the profit will go back to the Solar Village Initiative, which will fund future solar projects for other villages in the region. 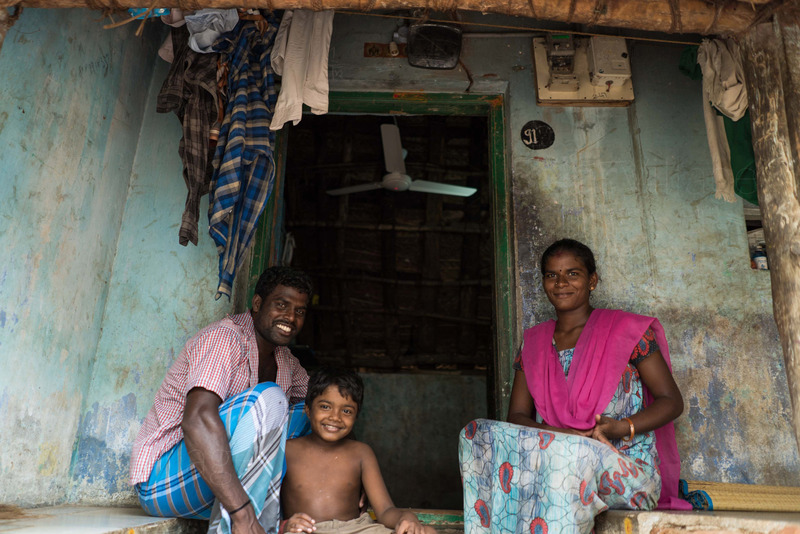 The goal is to solarise 100 villages throughout Tamil Nadu by 2030. The initiative has already started a pilot project for the Solar Village Search Engine in Irumbai Village, Tamil Nadu. Members of the team have already started working with villagers in Irumbai to do energy audits of their homes and to install energy-efficient fans. The search engine works as a crowdfunding tool for such projects. In our increasingly digital world, we frequently discuss the challenges, opportunities and risks of a highly digitalised society. This initiative is an example of one that brings out the best of digital technology and innovation. It enables our daily internet use that we often take for granted (say, a simple internet search, or advertisements), to make an impact on communities who are living in energy poverty. 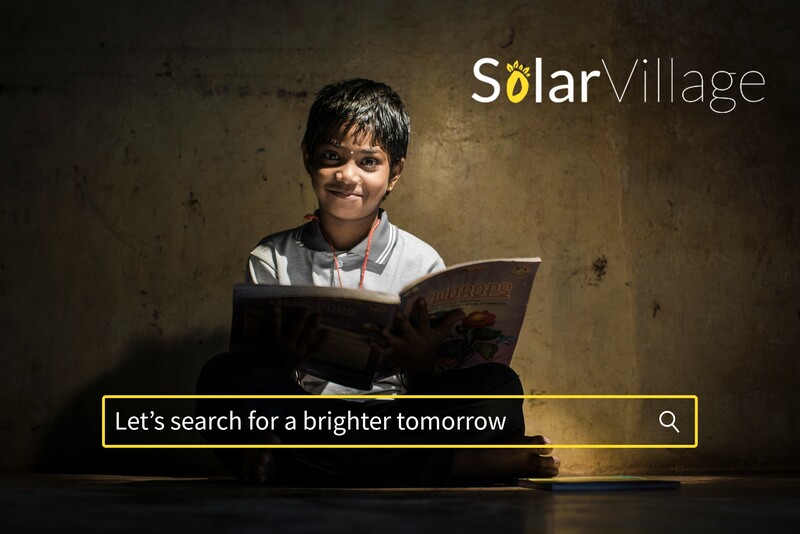 “Search for a brighter tomorrow!” – The Solar Village Search Engine, launching on 5 December 2018, can be found on Facebook, Twitter, and Instagram. Martin is the co-founder of Auroville Consulting. He is currently engaged in renewable energy projects, water, energy and waste auditing projects for the building sector and urban agriculture related project. Martin works with emerging smart cities in strategic planning and citizen engagement and supports state government in formulating Solar PV rooftop policies. He holds a Master degree in Sociology from Austria.